"Getting Results From Your RFP Experience"
10:00 - 10:50am Supplier RFP Panel - Learn from industry experts how to navigate the RFP process with RMCs and improve your opportunity to get to the next level. Our experts will share their insights into how their organizations work, what they are looking for in those "tricky" RFP questions, how to ensure that your RFP is put on the denied list and how to WIN! Corporate RFP Panel - Learn from experts what it takes to manage a successful RFP. What it takes to get it launched, how to write an effective RFP, what data do you need and their tips and tricks for suppliers responding to RFPs to get your company noticed. Our summer workshops are more casual so please feel free to dress in golf attire to celebrate and support our charities with the “Hollywood Style” theme! 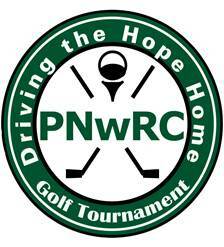 PNwRC 12th Annual “Driving the Hope Home“ Charity Golf Tournament. Celebrating a decade in the making, “Hollywood Style”. Golf sponsorship's are also available and going fast!